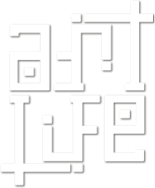 On Sunday, September 24th, 2017, ArtLife popped-up shop at the 33rd Annual Abbot Kinney Festival in Venice, CA. Locals & tourists swarmed like ants to the mile-long stretch of Abbot Kinney Blvd once again to take in the sunshine and everything the festival had to offer including 300 vendors, top food trucks, kids rides & games, 4 music stages, 3 beer gardens, and much more. This time around we brought along some brand new reclaimed wood signs handmade with love in the ArtLife workshop by HB Wood Creations to add to our mix of original clothing & art. Despite it only being our 2nd year participating in the festival, we already felt like seasoned vets with the company of loyal return customers and the patronage from some new faces. Huge thanks to everyone who stopped by the booth to show their support for our small biz, all the people involved in organizing this fun-filled event, and Venice Paparazzi for all the great photos! Visit AbbotKinney.org for more info on the Abbot Kinney Festival.